HomeLifestyleHealthAre Your Kids Really Eating Healthier at School? Are Your Kids Really Eating Healthier at School? It’s every parent’s duty to make sure that their kids are eating healthier at school. It often happens that when parents do not really show care to the daily eating habits of their kids so they get sick and go through stomach aches or such kind of issues that are not good for their health. 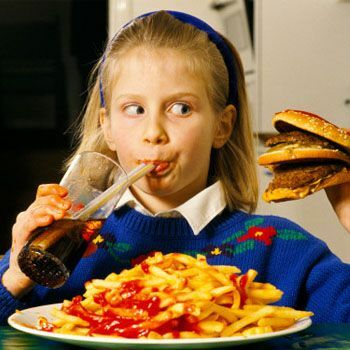 According to various studies, it has been proved that kids who do not eat healthier food often remains slow as compared to those kids who eat healthier food. Being parents, it’s really important for them to learn what their kids should be given to eat in their growing age. The best way to make sure that your kids are eating healthier at school is to get involved with them. Get permission from school to have lunch with your kids, if you get the permission, that would be great because this way, you will get a chance to make your kid finish his/her lunchbox in front of your eyes. But for instance, if you don’t get the permission from school so what parents can do is when their kids come back home from school, they can ask some tricky questions to make sure that the kids have eaten their lunch and did not throw it somewhere. You can make them answer your desirable questions by asking tricky questions that did you like what I made for you today. Can you guess how did I make that? Tell me, what was the different thing I added in your lunch meal today? And even many questions like that. If your kid will answer confidently to all of your questions, that means he has eaten the meal which you had packed for him but if he wouldn’t answer such questions confidently, which means that he did not have the given meal, that’s why he is enable to answer your questions. You can discuss to the school principal about your concerns of making your kids eat healthier food at school to avoid health issues. You can also discuss the significance of good nutrition and physical activities. Suggest any programs if you have ideas and ask the principal to cooperate with you for the better health of kids. Visit the school cafeteria and endeavor to get to know the staff. Let themknow that you value their services and efforts to provide the nutritious food for your child. You can also encourage the team that they are doing a really good job. Surely, they are going to like the appreciation and it will make them to enhance the quality of food. Make your kids aware about the facts and importance of food in their lives. When you have breakfast, lunch or even dinner with your kids, keep on telling them, time to time that good eating habits will help them grow in a healthy way, it will increase their height, make them more stronger and other logical facts like that. You can share your opinions with other parents, team up and work with them to support healthy school meals. Get a weekly menu from school cafeteria. Keep it magnetized to your refrigerator and search for the nutritionfacts so you can be sure that the menu meets the official Dietary Guidelines and requirements. Do small efforts, like planting a seed to make your kid and his friends know where the healthy food comes from? You can also give this idea to your kid’s school staff to initiate a program of planting vegetables, herbs and fruits etc. And make the kids plant the seeds so may know and understand the importance of food. It’s certainly going to be a great idea.